This week’s production news includes a season announcement from the Hope Mill Theatre in Manchester starring Tracie Bennett and the casting of Adrian Lester in Cost of Living at London’s Hampstead Theatre. Shane Richie is to join the cast of Everybody’s Talking About Jamie, playing the role of Hugo/Loco Chanelle from January 28 to May 4. The musical is booking at the Apollo Theatre until April 6, 2018. Tracie Bennett is to star in the first UK revival of musical Mame as part of the Hope Mill Theatre in Manchester’s new season. Mame, which has a book by Jerome Lawrence and Robert E. Lee and music and lyrics by Jerry Herman, runs from September 27 to November 9, 2019, with press night on October 3. The season also includes a new version of Stephen Schwartz musical Rags and the world premiere of a new musical, called The Astonishing Times of Timothy Cratchit, which is based on the characters of Charles Dickens. Showstopper! The Improvised Musical is to play an eight-week run at the Other Palace in London from January 22 to March 16. Further casting has been announced for the West End transfer of Sara Bareilles’ musical Waitress. Marisha Wallace, David Hunter, Laura Baldwin and Peter Hannah will appear alongside the previously announced Katharine McPhee in the musical, which opens at the Adelphi Theatre in February. Andy Coxon and Gabriela Garcia have been cast in West Side Story at the Royal Exchange in Manchester, directed by Sarah Frankcom, which runs from April 6 to May 25. The venue has also announced the casting of Tony Jayawardena in Tanika Gupta‘s adaptation of Hobson’s Choice, directed by Pooja Ghai. 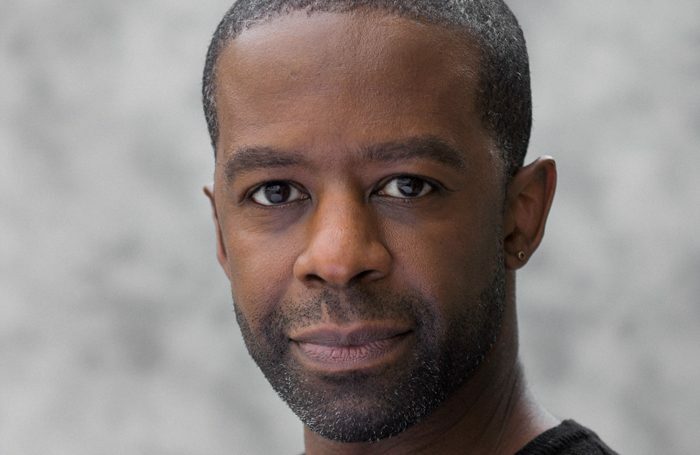 Adrian Lester is to star in the UK premiere of Pulitzer prize-winning play Cost of Living at the Hampstead Theatre. The play runs at the London venue from January 25 to March 2, with press night on January 31. Husband and wife Juliet Mills and Maxwell Caulfield are to star in The Lady Vanishes. The production opens at the Theatre Royal Windsor on January 9 before touring to Southend, Bath, Clwyd, Guildford, Edinburgh, New Brighton, Blackpool, Richmond, Malvern, Bromley, Chesterfield, Stoke, Inverness and Barnstaple. Star Trek: The Next Generation star Marina Sirtis has been cast in the world premiere of Dark Sublime at Trafalgar Studios 2 in London. The play runs from June 25 to August 3, with press night on June 28. Prime Cut Productions has announced an Ireland tour of its theatre double bill of Fintan Brady’s East Belfast Boy and John Patrick Higgins’ Every Day I Wake Up Hopeful. The double bill will run from January 26 until February 20, 2019, and tour to venues in Belfast, Roscommon, Cork, Letterkenny, Castlebar, Limerick, Armagh and Dublin. Glasgow’s Citizens Theatre has announced a season of work by female writers that promises to showcase the talent of women working across Scotland. Among the first shows to be announced are a contemporary adaptation of The Duchess of Malfi by Zinnie Harris, which will be co-produced by the Royal Lyceum Theatre in Edinburgh, and a reexamination of Ibsen’s A Dolls House by Stef Smith, which will be directed by Elizabeth Freestone. 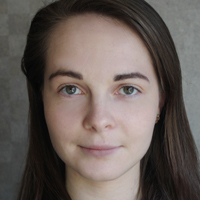 Elsewhere on the programme is Fibres, a new play by Frances Poet, which will be co-produced with theatre company Stellar Quines and directed by its artistic director Jemima Levick. More than 400 shows have been announced for the 2019 Vault Festival, which will take place in the vaults beneath London Waterloo station as well as in other venues in the area from January 23 to March 17. London’s New Diorama Theatre will showcase five productions as part of a new partnership with the festival, including the Faction’s The Talented Mr Ripley and The Stage Edinburgh award-winning Queens of Sheba by Nouveau Riche. Other highlights include immersive folk opera Counting Sheep and Tilda Swinton Answers an Ad on Craigslist, starring Buffy the Vampire Slayer actor Tom Lenk as Swinton. Sheila Atim is to star in Time Is Love/Tiempo es Amor at the Finborough Theatre in London. The production runs from January 1 to 26. Cardiff’s Sherman Theatre will present emerging talent from Wales to a London audience in its New Welsh Voices showcase at Theatre503 on December 13 and 14. The showcase includes Jon Berry’s Strays, Long Live the Knife by Paul Jenkins, Observations of a Sparrow by Luke Hereford, Tracy Harris’s Tracking, Jacob Hodgkinson‘s E2E and BYBL by Carys Jones. Former EastEnders actor Michelle Thomas is to star in My Dad’s Gap Year at the Park Theatre in London. The production runs from January 30 to February 23, with press night on February 1. Mark Thomas is to tour his show Check Up: Our NHS at 70 to venues around the UK from February 6, 2019, to April 4. It will visit locations including Bristol, London, Exeter, Hove, Stockton, Oxford, Sale, Colchester, and Wakefield. The first London production in 35 years of Athol Fugard’s A Lesson From Aloes is to run at the Finborough Theatre from February 27 to March 23. Theatre company Ad Infintium has announced a show with the working title Extraordinary Wall of Silence, exploring a history of oppression in the deaf community as part of its new season. The production will premiere at the Bristol Old Vic in Autumn 2019. Other season highlights include Edinburgh Fringe show No Kids, which will have its London premiere at Battersea Arts Centre in February 2019. Patrick Kennedy Phenomenological Theatre has announced Foreman at Fifty, a yearlong project with the New Wimbledon Theatre celebrating American avant garde theatre pioneer Richard Foreman’s 50th anniversary as a theatre artist. The project will involve three plays, Pain(t), running March 11-16, Lava, running July 1 to 6, and Zomboid!, running December 2 to 7 at New Wimbledon Theatre’s Time and Leisure Studio. The Old Vic and Headlong Theatre’s production of All My Sons will be broadcast to cinemas around the UK on May 14 as part of National Theatre Live. Stratford Circus Arts Centre has announced Spring 2019 programme. The season includes Flight Paths, a co-production between Yellow Earth and Extant, which is about two blind women exploring ancient stories from Japan. Other productions include Home Sweet Home by Kaveh Rahnama, Ayo-Dele Edwards’s Becoming and The Believers Are But Brothers.